Metàfora collaborates with representants from Barcelona’s vibrant community of artists and curators. The team of in-house-tutors is supplemented by a large number of prestigious artists, specialized profesionals, writers, art historians and curators with international exposure. 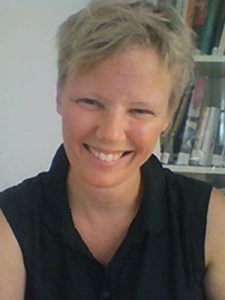 Jette Bjerg is a founding member of Metàfora, and has directed the Studio Arts programs since their beginning in 1999. 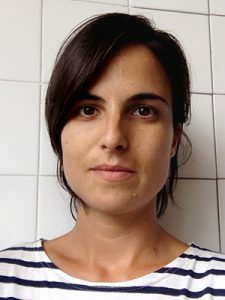 Ariadna Guiteras holds a MA in Art Production and a BA of Arts (UB) with a grant at UDK (Berlin). 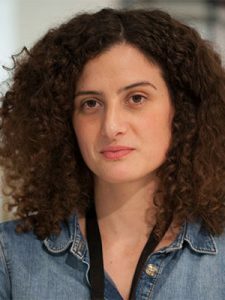 She is an artist-in-residence at Hangar and has recently won Miquel Casablancas 2016 award. Her work has been shown at Fabra i Coats, Chalton Gallery, Galeria Joan Prats, MACBA, Arts Santa Mònica. Marc Larré studied Fine Arts, first at the University of Barcelona and later at The Cooper Union in New York. He is now represented by the Barcelona based gallery Estrany de la Mota. 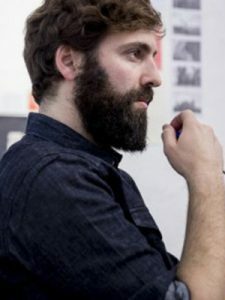 Marc has recently won prizes such as Fundación BBVA 2015 (Video Art), Miquel Casablancas 2014 (runner-up), Barcelona, and BCN Producció 2013, Barcelona. 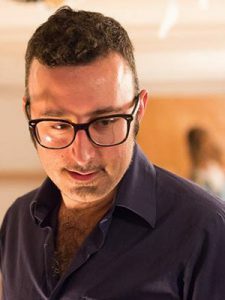 Bernat is a visual artist and cultural activist in Barcelona. 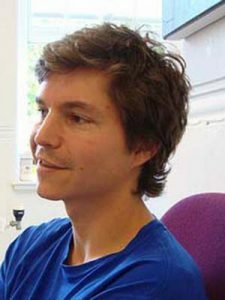 Founder of the project space Passatge Studio as well as Bombón Gallery, Bernat studied Fine Arts in Central Saint Martin’s in London, UK. Music Studies and Diploma in Graphic Design. BA in Fine Arts and Master Degree in Sound Art, Universitat de Barcelona . 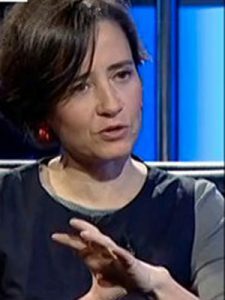 Premi Miquel Casablancas 2018, Premi Embarrat 2017 and Barcelona Producció 2014. Exhibitions at Casaplan (Valparaíso, Chile), Swinton & Grant (Madrid), ADN Platform, Espai 2-Galeria Àngels, MMSU (Croatia), Art3 (France), Lo Pati and Fundació Antoni Tàpies among others. Piotr Perski is a Polish painter, settled in Barcelona since 1998. 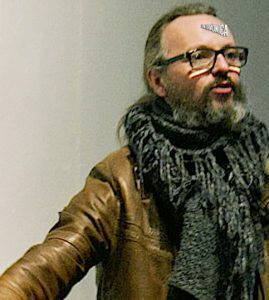 In Barcelona he shows mainly at Galería Jordi Barnadas and Sala Parés. PhD, Fine Arts (University of Barcelona). Oriol is a Catalan sculptor specialized in artistic interventions in architecture. Jo Milne is a visual artist, who works between Barcelona and Edinburgh. Teaching experience includes Winchester School of Art, Kent Institute for Art and Design, MASS Art in Boston and the Europäische Kunstakademie Trier, EINA, Centre Universitari de Disseny i Art in Barcelona. 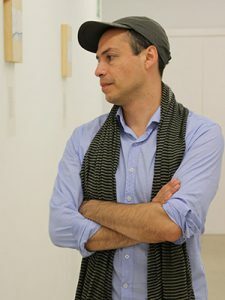 Ruben Verdú is an artist, researcher and writer on Contemporary Art. 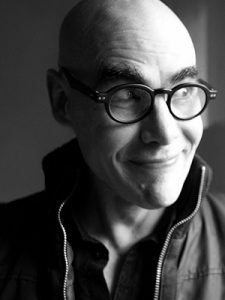 He received a BFA from the University of Texas, an MFA from CalArts and is an alumnus of the Whitney Independent Studio Program. His work has been exhibited at MoCA Los Angeles, at MoMA New York, at the Contemporary Art Space Osaka (CASO) and, in general, also throughout Europe and Latin America. He lives and works in Barcelona where he is the recipient of a BCN Producció award. 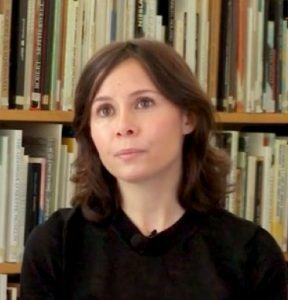 Helena Perez is in-house gallery curator at àngels barcelona, combining this activity with her work as a European educational guide in France, UK and Spain. BA Art History and Arts Management diploma, Birckbeck college, London. MA Contemporary Art Theory, Goldsmiths University in London. She has worked on educational projects for Tate Modern and the Barbican centre in London. Whilst living in Paris she worked as a Projects assistant at the Kadist Art Foundation as well as for the design studio of Robert Stadler and also for BAR Project in Barcelona. 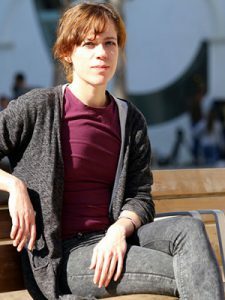 She lives and works in Barcelona since 2013. 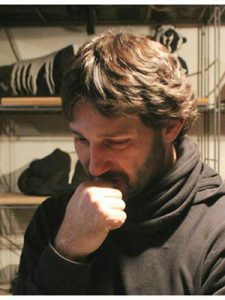 As an Art Critic and Curator, Oriol has been part of the management team of Sala D‘Art Jove of Catalunya since 2007. 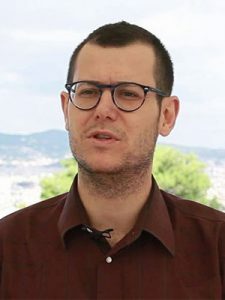 He has curated projects like How To Do Things With Documents, at the Antoni Tàpies Foundation: Preventive Archaeology at Espai 13 of the Miró Foundation; among many others. 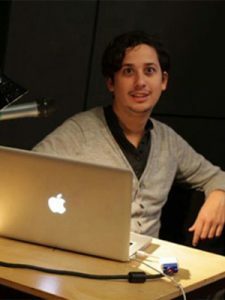 Oriol was responsible for the educational program of A-Desk magazine. To supplement the team of In-House-Tutors, the International Workshop collaborates with a number of artists and other professionals from in and around Barcelona. Below is a selection of the many visiting artists who come and go at Metàfora. Luis is a visual artist and philosopher. In 2018 he earned his PhD. in Art and Philosophy at Universidad Autónoma de Barcelona. Fellow Researcher (2015-2016) at Museo Nacional Centro de Arte Reina Sofia, Madrid; Guest Professor at EINA University School of Design and Art, Barcelona. Works as a practicing artist in Barcelona. Pere Llobera (Barcelona 1970) works and lives in Barcelona. 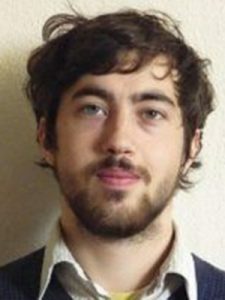 He was a resident of Rijksakademie (Amsterdam) in 2006 and 2007. 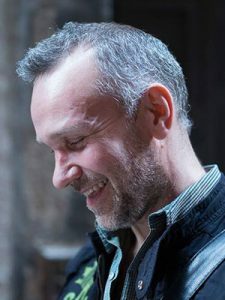 His solo shows include Viafarini Kunsthalle (Milano); Tongerlohuys museum (Roosendal), or ’Unter dem Pantoffel stehen (Galerie Fons Welters, Amsterdam). Artist and cultural agent, Barcelona. His most recent project is FirePlace a Cultural Agency, Residency and Cultural Space based in Barcelona. 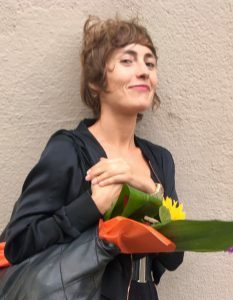 Claudia is a multidisciplinary artist who primarily works with language and music to explore labor and economies of bodies through talks, songs, and objects. 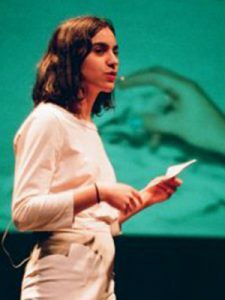 She has shown her work and performed in different venues such as P/////AKT (Amsterdam), Moderna Museet (Stockholm), La Casa Encendida (Madrid) and SWAB (Barcelona). Luz Broto graduated in Fine Art and obtained her Diploma in Advanced Studies from the doctorate programme in ‘Art in the Digital Era. Intermediate Creation’, at the University of Barcelona. 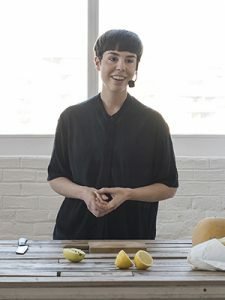 As an important young figure on Barcelona’s art scene, she has developed specific projects for many different contexts. Co-founder of BAR International Residency Program, Radiobucket and Colectivo Azotea. Part of the curatoratorial team behind major exhibition projects such as ARCO 2015/2016, Caixa Forum, Swab Barcelona, etc. 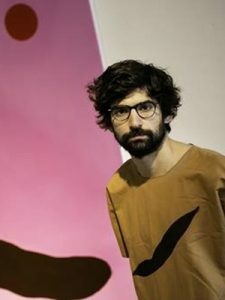 His works has been shown at Biennale di Venezia, MACBA, Caixaforum and art coordinator of Nau Estruch (Sabadell). Curator and art critic who specializes in feminist and counter.culture studies. 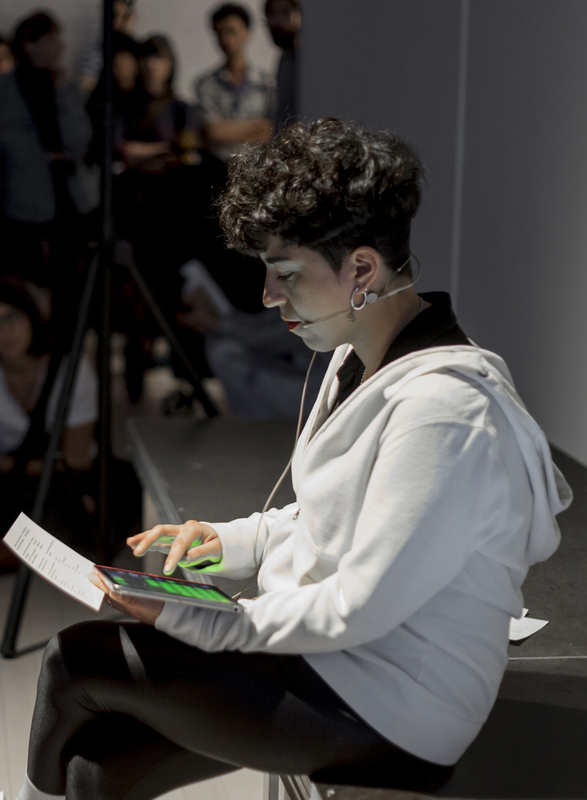 She writes regularly in A-Desk online magazine and has recently co-curated “Plaga Festival”,a festival of pop-up exhibitions in Barcelona. She is currently curating the performance program “MICRO” in Nau Estruch Sabadell. Amsterdam-based artist and winner of the prestigious Premi Miquel Casablancas 2013, BCN Production 2014. Fine Arts, BFA, Cooper Union in New York and Frankfurt Städelschule. Catalan artist, born in Perú in 1982, has studied Fine Arts, artistic productions and research, as well as sculpting, among other disciplines. She received grantS from Fundació Suñol, Fundació Guasch-Coranty, CONCA and Hangar. Teaches graffiti workshops and is a co-founder of the fashion label Animal Bandido with designer Clàudia Font. Teaching experience from MAICA and Pratts, NY. Installation Artist, culture jammer. Works with monumental urban interventions. Works as a practicing artist worldwide installing monumental scale artworks.